CAPITOL HILL. 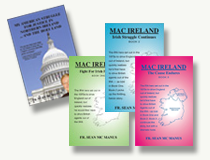 Wednesday, December 12, 2012 — The launch of the Holy Land Principles has evoked a huge response from Irish – Americans and others. “Congratulations, Fr. McManus, we know it is not easy for you. But it is long past due. And we are proud you have the courage to take it on.” That is typical of many of the responses received. However, there were concerns expressed, too: “You will be targeted by the powers that be. Attempts will be made to brand you as anti-Semitic, lies will be told about you … .” And, “The opposition you receive will be even more powerful and fierce than what you received from the British Government for all those years. Fr. 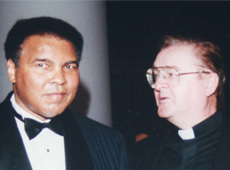 McManus concluded: “ Just like our Mac Bride Principles, the Holy Land Principles do not call for a particular solution – I confidently look forward to Jewish-American, Arab-Americans, Irish-Americans, African-Americans – all Americans of good-will — supporting and embracing the Holy Land Principles.” ( HolyLandPrinciples.org).